Maple Roasted Brussels Sprouts with Sriracha are the perfect addition to your holiday table. Sweet, spicy and so tasty you’ll want to lick the plate clean. Bring on the Pumpkins, Sweet Potatoes and Brussels Sprouts because it’s officially Fall guys! There’s something about a change in seasons that feels equally exciting and refreshing. Every three months you get an opportunity to update your routine. Try something new. Or remember an old favorite…especially in the produce isle. Because right when you can barely bring yourself to even look at another zucchini a whole new crop of fresh veggies appears. I may have squealed with delight (just a little) after finding baby Brussels sprouts at our store. 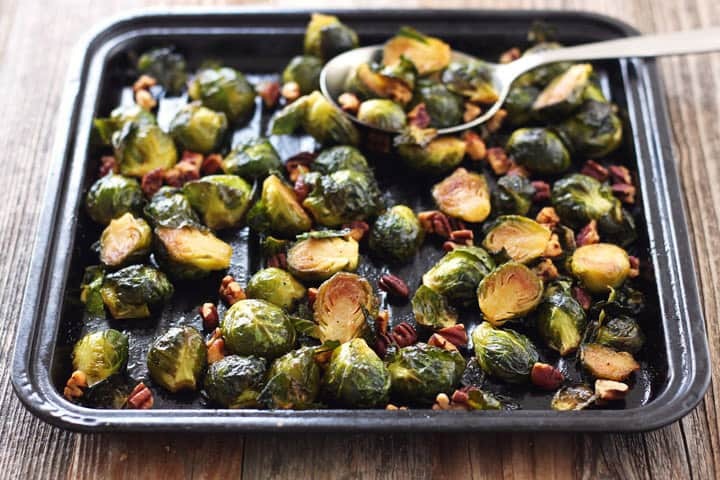 And I guarantee you’ll be squealing all season long after you fire up your toaster oven and enjoy a batch of these tasty Maple Roasted Brussels Sprouts with Sriracha. 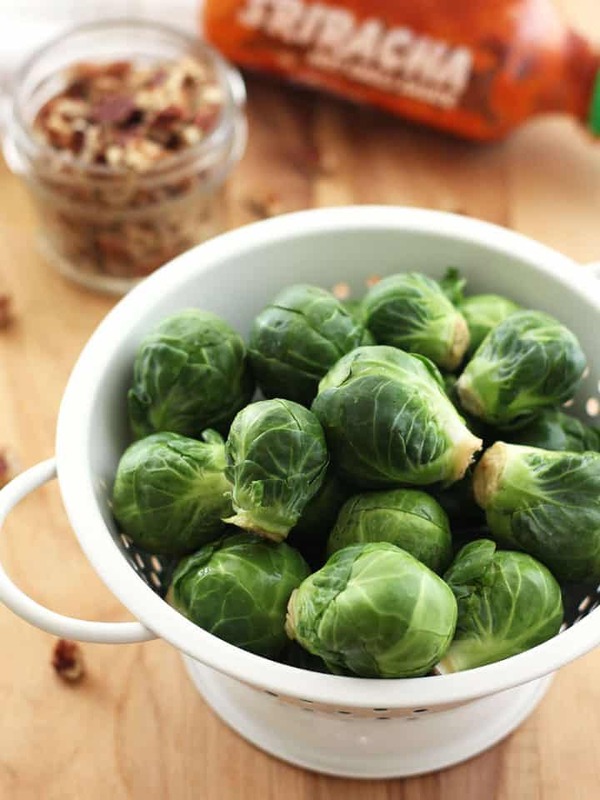 Crispy, sweet and tender freshly roasted sprouts are such a treat on their own. But pair them with Sriracha sauce and Ooh-La-La. Its spicy tangy flavor is a great compliment to any vegetable. 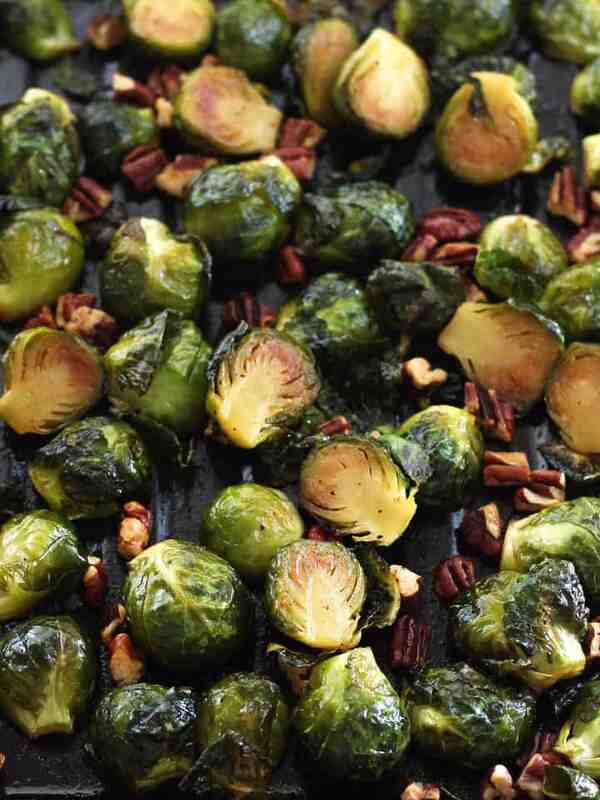 After you’ve turned up the flavor on your sprouts balance out all that heat with a splash of maple syrup and handful of buttery toasted pecans. There’s really no words for that level of deliciousness. You can skip toasting the pecans and just toss them in raw at the end. But if you have the time. It’s worth the intensely rich flavor 5 minutes of toasting can bring out in the nuts. Serve the final dish as a side or paired with your favorite protein. For a fun toaster oven breakfast or dinner try topping your spicy-sweet sprouts with a couple of fried eggs and of course – More Sriracha! We also shared this Maple Roasted Brussels Sprouts with Sriracha Recipe on Food Fanatic, stop by to print out the recipe! 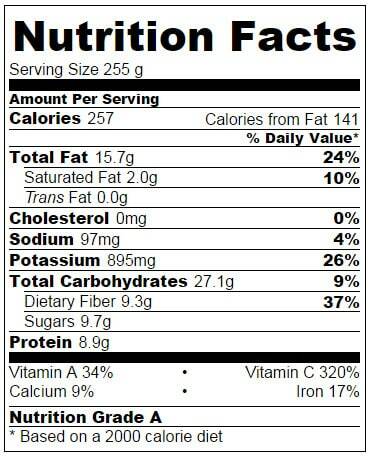 Nutritional Information is an estimate for 1 of 2 servings. Yummy. I love brussel sprouts and this look great. What a great way to eat the sprouts. 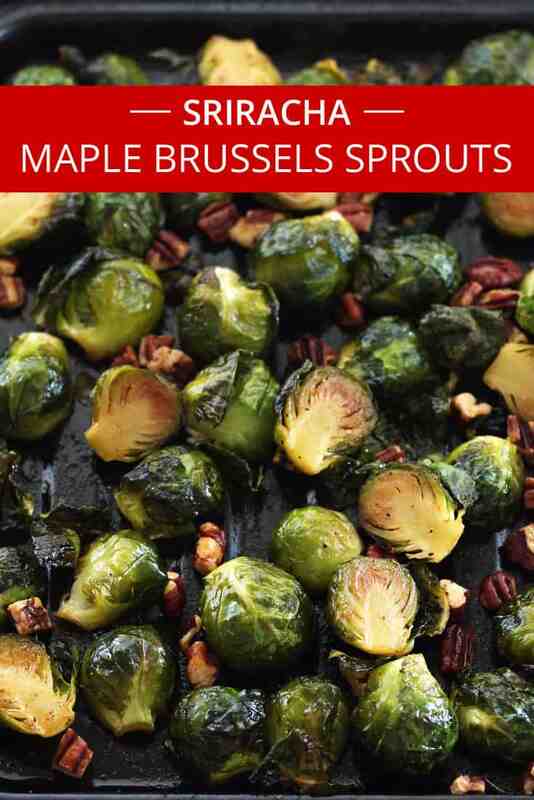 I like baked brussels sprouts so much more than cooked one, so I will try your Sriracha-maple syrup combination. Thank you, Adina 🙂 roasted is our favorite way too! I hope you enjoy the maple-Sriracha, it’s a nice change from olive oil with salt & pepper.